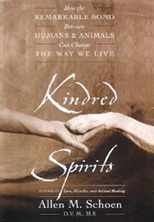 World renowned musician, animal lover, and kindred spirit, Bettine Clemen, shares her musical message of Trans-species love and connections throughout the world with so many different species. This video of Icelandic horses connecting with Bettine through angelic flute songs illustrates how we all connect through music. 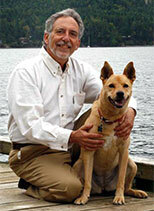 Her video documentation of the most heart warming moments in interspecies connections are available on her youtube channel. Healing music and healing sound frequencies, are just one way that we all deepen our connections and re-awaken our transcendent consciousness. Other gateways to awakening to these deeper connections include, nature, meditation, qi gong, yoga, just sharing quiet moments with animals, and other ways to quiet the daily busy mind traffic that tends to distract us from all that is. Watch these icelandic horses and how they respond to Bettine’s melodious messages. Have you had any experiences in playing music with animals and seeing how they respond? Please send any video’s or comments on these experiences. 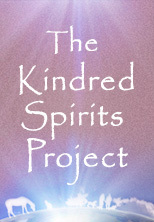 This is one other aspect of the kindred spirits project that we are collecting. Bettine is a veritable trans-species troubadour connecting to animals in some of the most unexpected places from the slums of Kathmandu and India to the Antarctic. She is also finding that the music is deepening her communication with all animals and is integrating her animal communication skills with her music. Bettine is a beautiful example of what this blog is all about. She exemplifies the continued creation of a new world based on loving kindness and compassion for all beings. She travels throughout the world sharing her melodious, healing message. Enjoy her music video’s and may they nourish your inner joy, peace and love and your connections with your kindred spirits!